The greatest danger on a desert island? A coconut falling on your head! I am deepak I want to ask about how protect from coconet falling towards head, because in my front of my house there are two coconet trees we are walking under that, we are worry about that if in case it follow under the head so please tell me how to protect from that. The best solution is to clean the coconuts every month. You just need to take the most mature coconut. You should be careful specially when is windy. Every 3 months once remove bottom potions coconets. I always tried to take shelter from too much sun, when in the safe zone of the heat – sitting and relax under the coconat tree – then I feel threatened by the coconuts that probably bumps my head. 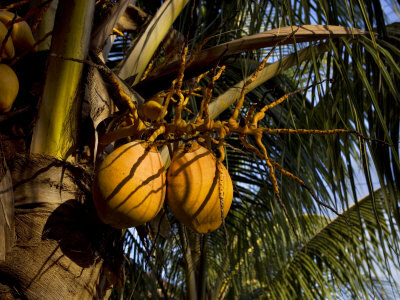 how can I protect myself from a falling coconut in Wisconsin, because I herd its windy these days and I dont want a California coconut flying here and hitting my head. Hi Bob, sorry for the late reply. I think you shouldn´t be too worried. Please note the estimation is around 150 casualities per year, and bearing in mind that probably more than 50 millions of people around the world live surrounded by palm trees, the risk is actually too low. However, try to avoid passing under a coconut tree on windy days. It is actually an estimation. Most of these accidents are supposed to happen in countries with no statistics. Maybe it is less, but it could be more as well. A little search on the net will show you that all of this is nonsense. The origin of the death by coconut legend has been traced back to Dr. Peter Barss' 1984 study titled "Injuries Due to Falling Coconuts".In his research paper, Barss observed that in Papua New Guinea nine people were injured by falling coconuts that year, with at least one fatality. The figure went on to be misquoted as 150 worldwide. Thanks a lot for your remark 🙂 Very interesting the Peter Barss's research. I think it is very difficult to have an accurate data about the exact number, because most of these islands and countries don´t have any control on statistics. 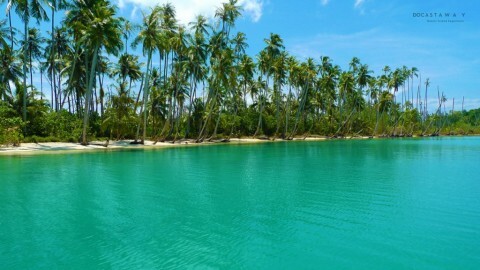 However, in Papua New Guinea only live 7 millions of people. To this Peter Barss's statistics we would need to add 250 Millions living in Indonesia, 600 millions in south India, 200 millions in Brazil, 100 millions in Philippines and at least 600 millions more living in other tropical regions in Caribbean, Central America, Africa, Indochina and Pacific Islands. So if every 7 millions there is 1 fatality, then it would make sense to happen at least 150 fatalities a year all around the world. When Peter Barss created this statistics in 1984, the population in Papua New Guinea was 3'5 millions so it is half of what is now. So by that token, the number of fatalities in Papua New Guinea, nowdays with 7 millions is at least 2 per year 🙂 So I guess that in around 1.700 millions people living around the tropical world, there would be at least 150. Please let me now your opinion. And again, thanks a lot for your remark. It was very interesting let people know about the Peter Barss's research. No it's well known that it is a myth. They already got the 150 deaths by extrapolating figures to other regions but I'm afraid it's well known nonsense. It simply isn't true. How can something be well known nonsense? especially if there’s no real data? Every bit of Alvaro’s logic is perfectly reasonable. Just because you first heard of falling coconuts as a myth doesn’t make it so. Would you want to be hit by one? Do you think people constantly pay attention while under the trees? Or do you think a lot of people like yourself ignore the threat because surely it must be a myth? It seems very likely that well over 150 people die from falling coconuts every year. Hell two people die from falling vending machines every year. it’s not non-sense. my mom got hit by a coconut in the head and mess her up bad her life since the day it happened until now which affected emotionally the whole family. I love sitting under the coconut tree when I was young and wasn’t thinking about it’s danger at all. Thanks for your remark!. I’m truly sorry about your mum. At least your story will help our followers to understand how serious is this issue. Made me laugh haha n the aston mini was some great perspective! On a pmore personal level, since I love the ALA and other fatty acids, I take a tsp of coco oil a day. for health. I also love the ‘nazi’ (swahili for coconut wine!!!) drink down at the coast, and it really is healthy (na zdorovye?). So the irony in such a fate for me would earn me a Darwin award, Im sure lol. How tall does a coconut tree have to be for a coconut falling from it, to kill someone? It will depend on the size of the coconut and also on the position of the person when accident occur. But In my personal opinion a falling coconut can start to be dangerous when it falls from above 5 meters. My sons are looking into booking an aventure on amparo island as you can imagine I’m a worried parent but i dont want them to know how worried I am, so before they do book could you let me know of any reviews people have posted anywhere else. Also any other information they may need to know before they leave . They are thinking of booking in May is that a good time of year for this for the weather ?? Thanks for your message. Yes, I am aware of the experience of your sons in Amparo Island. If I’m not wrong they are Geraldine & Bertrand. If you don´t mind please send me an email to my personal account (which you can find on http://www.docastaway.com/pages/experience) and I will be happy to answer you all your questions. They should put nets up under the trees to catch the coconuts. At least in the places where people usually are. Thanks for the remark Amanda. Interesting story. Thanks for sharing it with us Dave. Just an example, most of the palm tress in beach resorts are ‘clean’ from coconuts. The staff climb them and remove all of them usually once a month. Please keep in mind that the threat is real. drowned in a vat of coconut oil. His body was discovered after he was reported as missing, and police were investigating to determine whether he fell or was pushed into the coconut oil. If you are still not convinced coconut trees are out to get us, CEO’S arent even exempt. In August 2011, the CEO of Milestone Capital, Ved Prakash Arya, was crushed and killed when a coconut palm tree fell on him in Mumbai. Not saying the tree did that willingly and intentionally. Following the incident, the local municipal authority resisted proposals to cut down the trees, noting, “We don’t allow chopping down of coconut trees. The possibility of coconut trees falling down is very rare. The tree sustains huge wind velocity and suits the weather condition of city.” Further denial. If you STILL are not convinced, In March 2006, Newsweek ran a satirical article on former Enron CEO Ken Lay, stating he testified that he had sustained amnesia after being struck in the head by a falling coconut and as a result of the injury, was unable to recall the events that occurred during his time at Enron. Quite convenient. So, Florida friends, I urge you to take caution to this very real and potentially devistating danger, please think twice when propping yourself up against a shady palm tree this summer with a drink in hand. My fellow Buffalo friends, don’t worry about it until you come visit, and to all the single ladies out there you have a greater chance of dying from a coconut than if you go skinny dipping with me. Very interesting Ben! Thanks a lot for your remark! This is all folklore! Now if you want to talk about being bitten by a Tiger or Hammerhead shark, I'll take my chances with the coconuts, but still no need to worry, just enjoy paradise. Aloha! Just came across this and had to comment on this nonsense of scaring people. Interesting story. Thanks for sharing it with us Dave. Just an example, most of the palmtress in beach resorts are 'clean' from coconuts. The staff climb them and remove all of them usually once a month. Please keep in mind that the threat is real. Im Only reading this because half an hour ago I heard a pop above me, and thankfully kinda swayed sideways as I looked up just as the coconut brushed my arm on its way to the ground. YES this danger Does exist. I live in the Florida Keys… and if I didn't naturally sway to my left as I looked up to the right, That coconut would have been on my head! I was hit on the head on New Years day in Mexico. Luckily it was a small coconut! oh! and how was it? The number of 150 may be scientifically unproven. But that doesn't mean the number is insignificant. It may be more or less than 150. There simply is no data. But nomatter wgether the number is 10, 150 or 300: For sure would it be illigal in any developed nation to have any installation that is randomly dropping 40-80 1-2 kg objects per year from 20-30m highs. I was in the Muluccas this week-end. I have asked a local about incidents. His surprising (and very serious) answer was: impossible. The cocos have eyes to avoid you. My thought was: ok. So not random then. But what about the evil nuts?!? 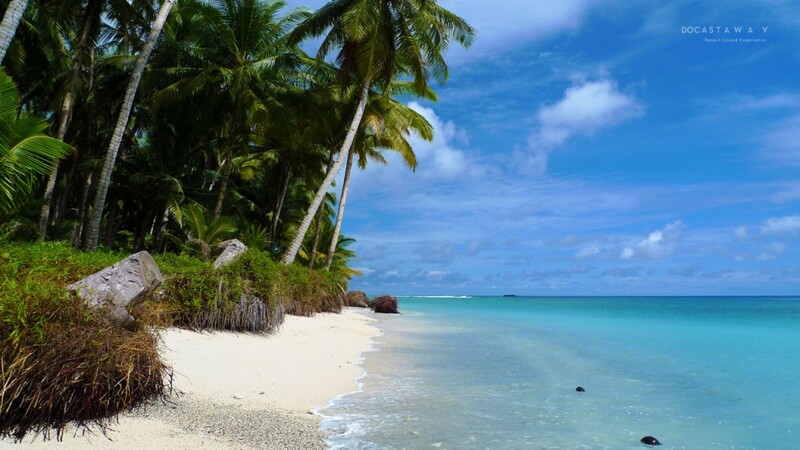 So yes, even in the Muluccas, where they "have eyes" I avoid the coco palms…. You just have to be a little aware. You put the lime in the coconut…. One missed my noggin by inches last night. The spray covered my legs and trousers. It looked as thought I’d wet myself. And I’m one of the ones who’s always been wary of the coconut. It was a beautiful day at Pohoiki , Big Island Hawaii, when I was mugged by a rouge coconut. 4/26/2015. Walking along a path from a small hot pond when out of nowhere whap..
oh.God. Was it from very high? oh. Gosh How is it now? oh. and was it bad? We are currently on holidays- with my three year old and 8month old while walking back from dinner we herd a very loud crack as a coconut fell from the tree and hit the ground, we thought it actually hit my three year old as he started screaming and then passed out through crying so much, my partner took him back to the room once he come around to and I found the coconut it was huge. He is fine with no marks on his body but it diffinatly skimmed passed him he said it landed on his foot. So scary that it a slightly bigger step could have been such a different outcome- someone is watching over us. we r just bck from hol in africa. on d first nite staying in a beautiful hotel a coconut feel of the tree, about a meter away from my 6 year old daughter and only because i called her- she stoped, and then d coconut fell. i can tell u one thing ill never forget it. i thank God that nothing happened to her that nite. Just this afternoon a large coconut fell two feet from my head. If I had walked closer to the kerb by even two steps, it was large enough and the tree tall enough to have killed me. That is when for the first time in 20 years that I have taken that same walking route almost daily I looked up to see how many coconut trees there were up there on my path and I was stunned to note there were more than a dozen of them! After thanking my stars and God for protecting me (even if I am unsure He gets involved in our daily affairs), I decided to use only main roads with no coconut trees for my walks going forward. 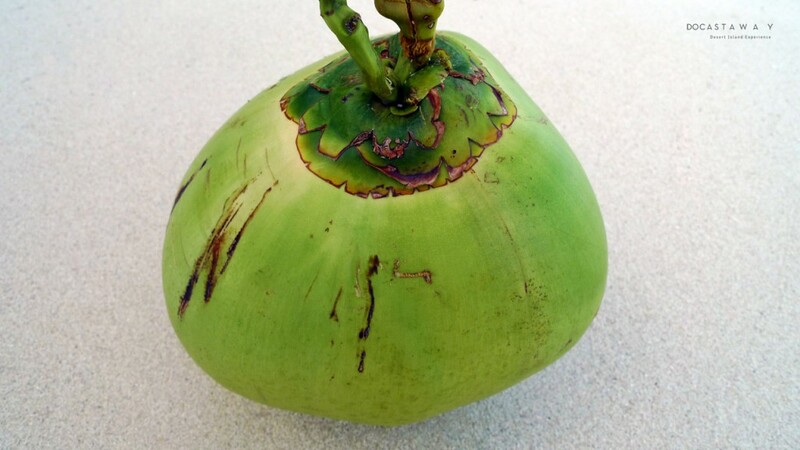 After hearing the thud right next to me, what got me so upset was the fact that a neighborhood lady, upon hearing that very thud and spotting the coconut came rushing to pick it up with a glee on her face for discovering a free drink. And she couldn’t care less if I missed its trajectory by a whisker! So much for the folklore that coconuts only fall in the night and never hurt, much less, kill, sentient beings. First thing I did was google “coconut falling head” and this article was quite an eye-opener. Is it safe to keep the coconut trunk after chopping of its head? Next post: Did you know white beach sand is fish poop?